I don't know how my weekend slipped past me so quickly, but here it is...Monday again! over at Fantabulous Cricut Challenge Blog. This week's challenge is to create a project with a sun on it. Remember to use at least one Cricut cut somewhere on your project. I'm not sure if you can tell in the photo, but I used a Gelly Roll glitter pen around the edges of the sun for just a bit of shimmer. These little pens are great when you want just a tiny bit of glitter. Well, that's my project for today. 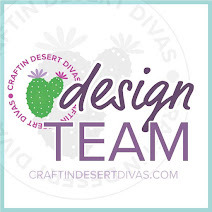 I hope you have enjoyed your visit with me today and I hope you will pop over to FCCB and see what all those talented ladies on the Design Team have in store for you! After your visit...go....get creative...then link up your project under the Challenge Me Monday section at FCCB. I can't wait to see what you create! Oh I love this card!! The colors are so so pretty!! What a fun card !! I love the papers you used, the shape of the card and the sun is awesome ! This is beautiful, Tanya! The muted tones are gorgeous and the sentiment is just perfect with this! I love the papers and colors you chose..and that beaded circle nestie (I think I may try to make a cut file for this). Really fun card, Tanya! Lovely card, love the papers you used too! This is beautiful. I love the paper you used. Terrific card. I admired this when I first saw it in photobucket! It's really wonderful. I love the shape of the card and the sun layered on the Nestie. Really a terrific card. Your card is absolutely gorgeous! You did an amazing job with the challenge. 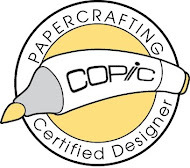 I love the patterned paper your chose and the cricut cuts, too. Great job, Tanya! What an awesome take on the challenge! I love the colors! Great job, Tanya! This is beautiful, Tanya! I love the patterned paper used for the sun. So pretty!